TV and Broadway star Daniel Dae Kim (“Hawaii Five-O” on CBS, currently starring on Broadway as the King of Siam in The King & I thru 6/26) and Broadway actress Andréa Burns (currently appearing in On Your Feet!) will receive Beacon Awards on Monday, June 20, 2016 at The JW Marriott Essex House (160 Central Park South) at Inside Broadway’s annual benefit. Hosted by FOX5 reporter Baruch Shemtov, the Beacon Awards will also feature a performance from the cast of On Your Feet!. The first Broadway Beacon Award was given to Carol Channing in 1995. The Broadway Beacon Award is presented to individuals in the theatre & Times Square community who have been advocates for increasing audiences for live theatre and understanding the importance of Arts and Education in the lives of New York City’s young people. The evening, which begins at 5:30pm with a cocktail reception, with the awards presentation and special live performances at 7pm, will also honor Richard Fitzgerald, CEO of Sound Associates, Inc. and Scott Nadeau, General Manager of the New York Marriott Marquis. Students from Inside Broadway’s school program at IS 278 in Brooklyn will also be performing. 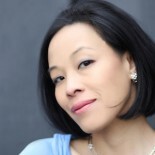 This entry was posted on June 6, 2016 by Lia Chang in Asian American Artists, Awards, Benefits, Entertainment, New York, Press Release, Television, Theater and tagged Andréa Burns, Backstage Pass with Lia Chang, Baruch Shemtov, Beacon Awards, Broadway Beacon Award, Carol Channing, CBS, CEO of Sound Associates Inc. Scott Nadeau, Daniel Dae Kim, FOX5, Hawaii Five-O, Inside Broadway, IS 278, Lia Chang, New York Marriott Marquis, On Your Feet, Richard Fitzgerald, The JW Marriott Essex House, The King & I.